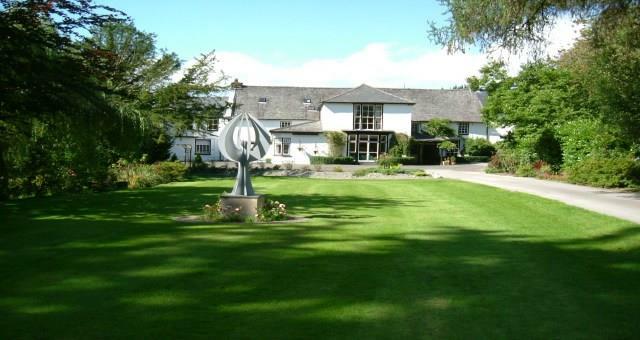 Plas Dolguog Hotel01654 702 244work Country House HotelSecluded Country House set in mature grounds, bounded by the River Dulas, overlooking the Dyfi Valley and Snowdonia National Park. Superb traditional and vegetarian cuisine created by the resident proprietor and chef. Log fires in the residents lounge on cooler evenings. Comfortable rooms with ground floor and family rooms available.The bedrooms are all individually furnished. A plaque on the wall dated 1632 records that the present building was modernised 370 years ago. Plas Dolguog has now been sensitively transformed into a country house hotel. Secluded Country House set in mature grounds, bounded by the River Dulas, overlooking the Dyfi Valley and Snowdonia National Park. Superb traditional and vegetarian cuisine created by the resident proprietor and chef. 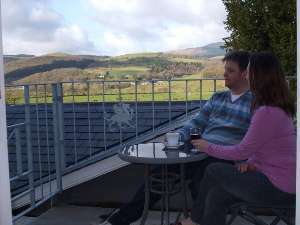 The conservatory restaurant has panoramic views over Snowdonia National Park. From Machynlleth 1.5 miles from clock tower west on A489 left turn into lane - signpost to hotel. From Machynlleth railway station 2.5 miles.